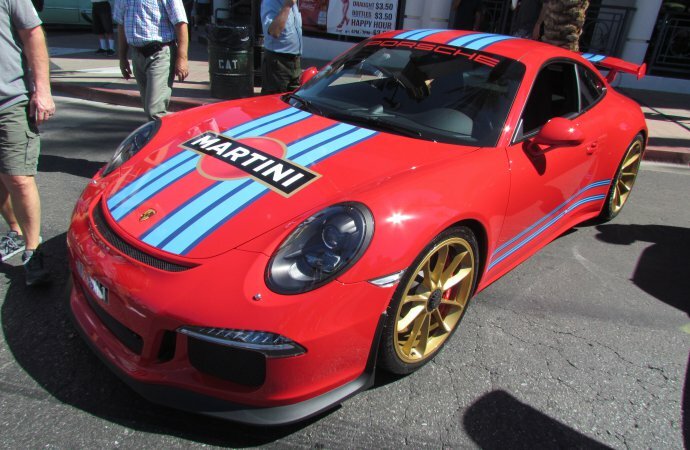 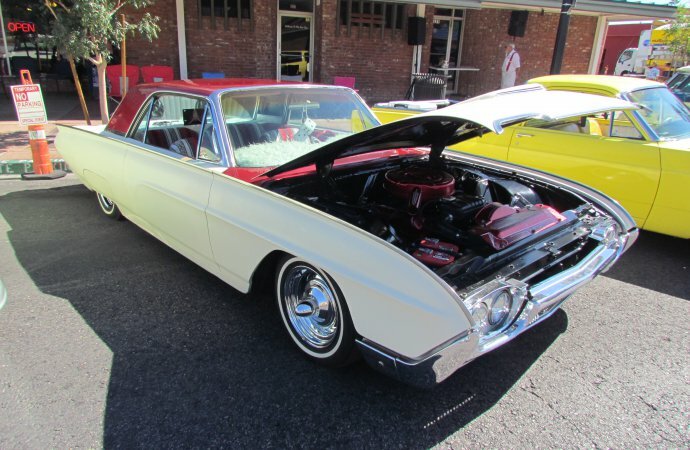 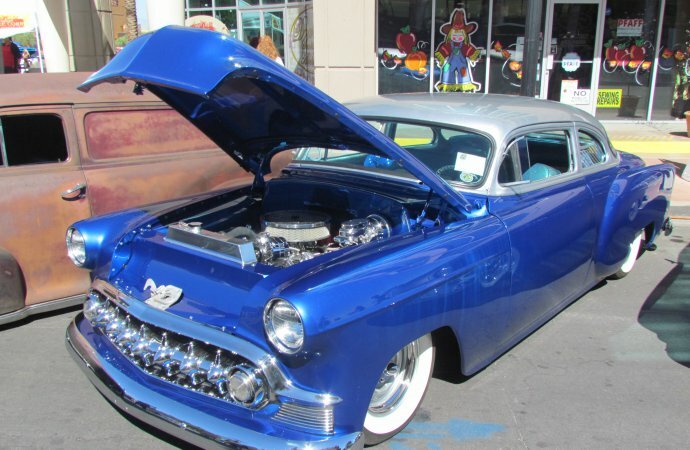 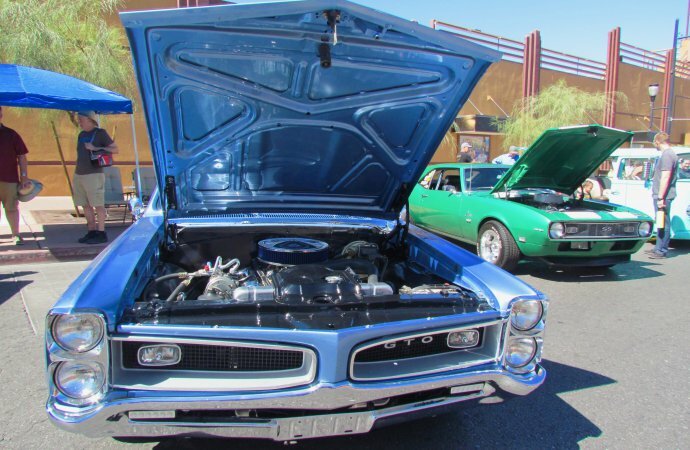 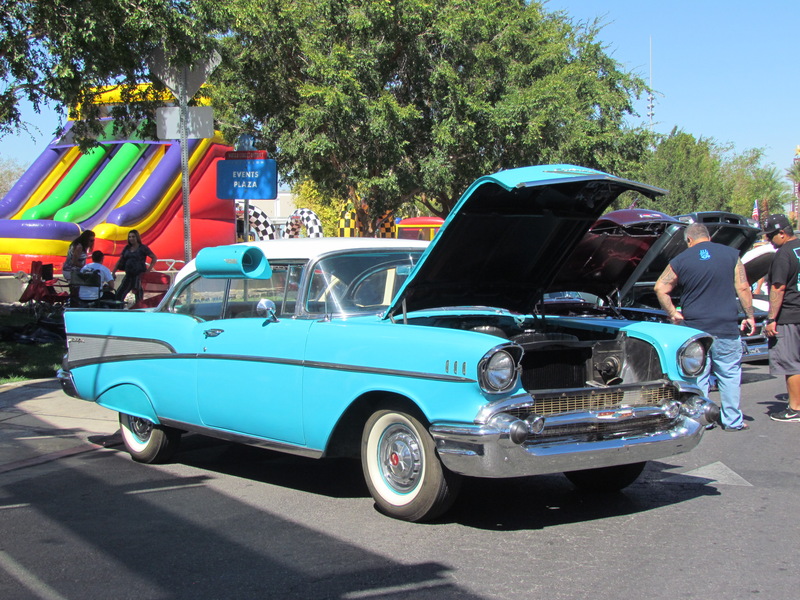 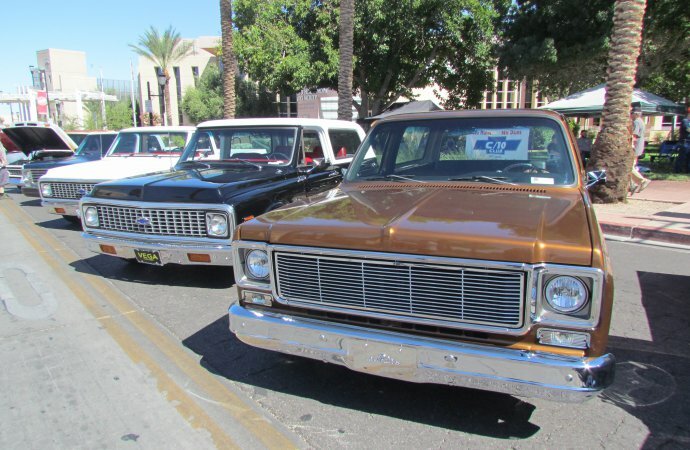 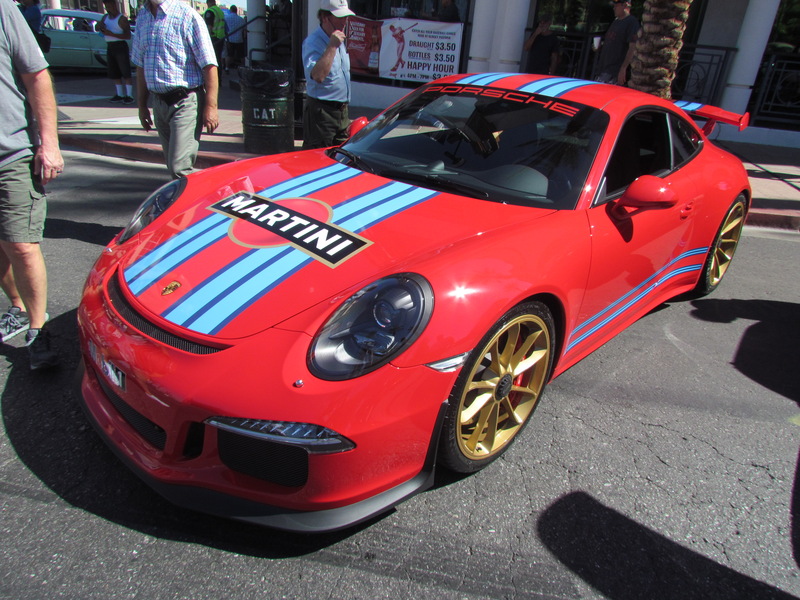 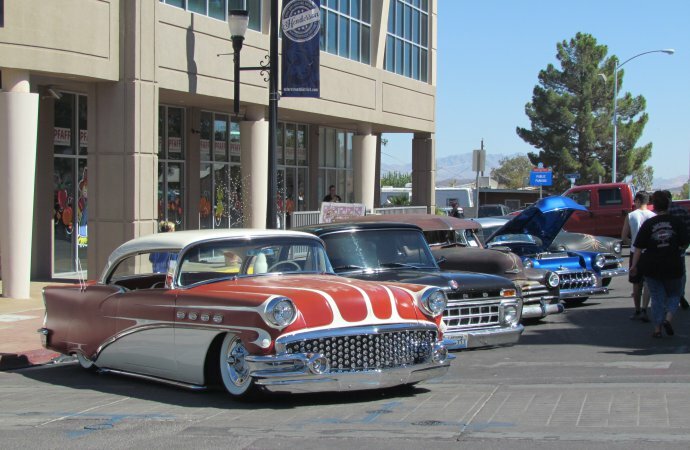 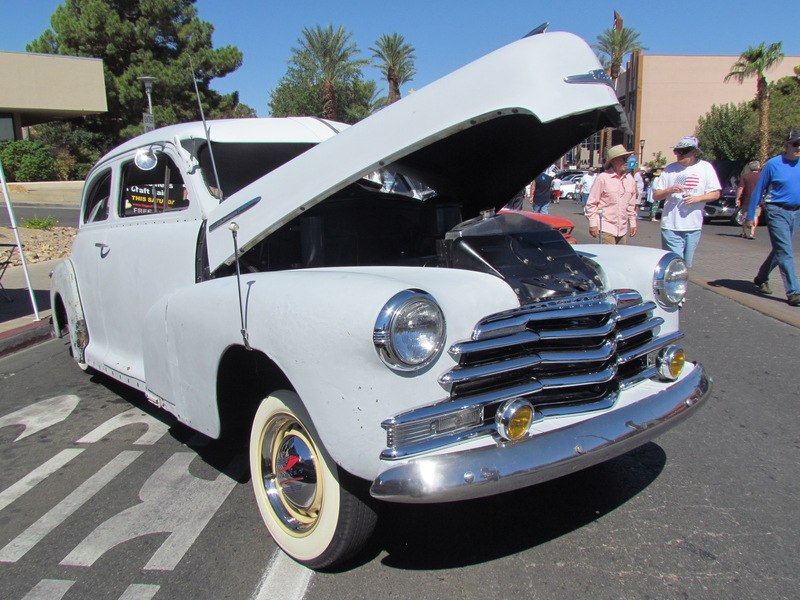 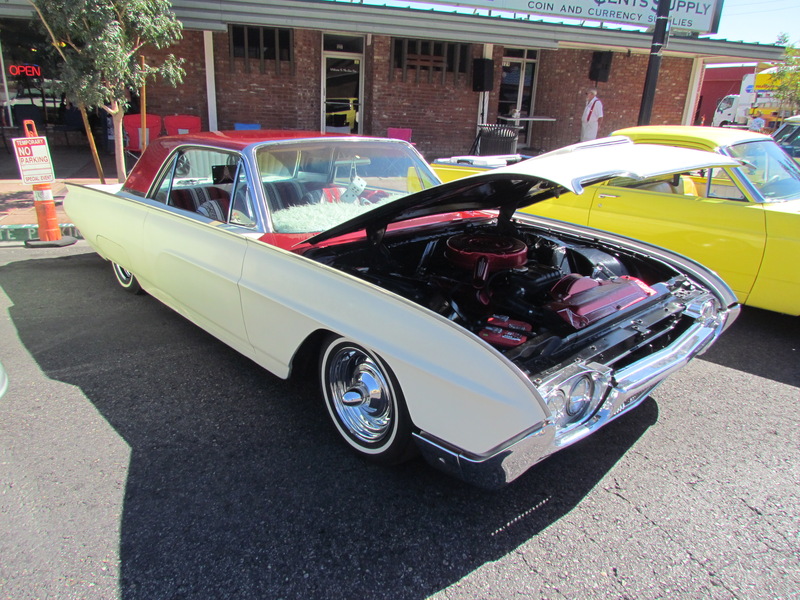 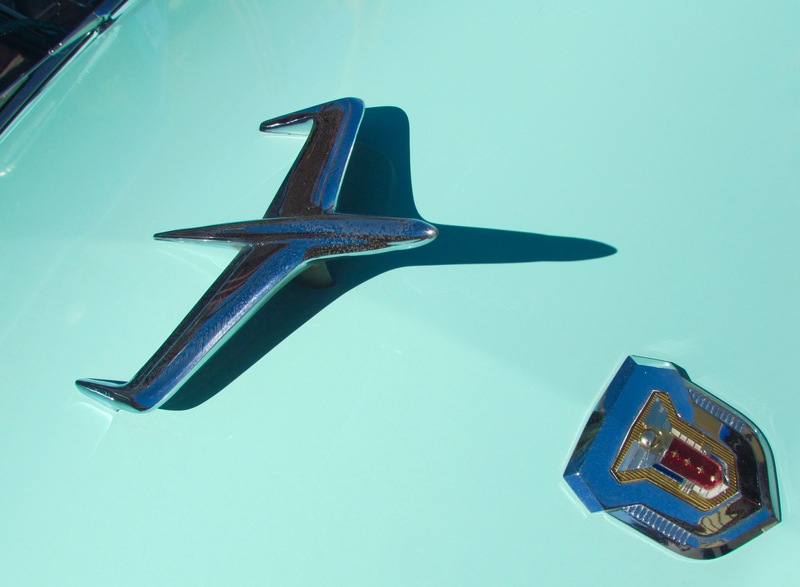 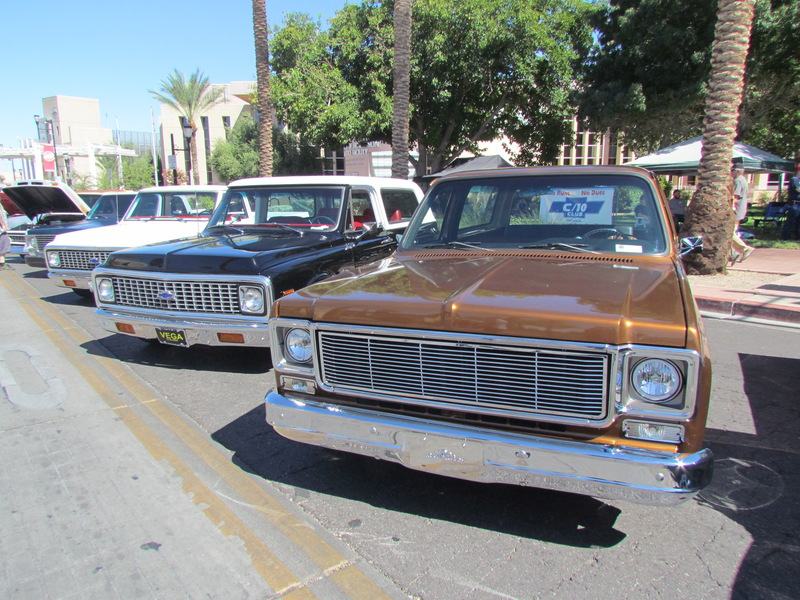 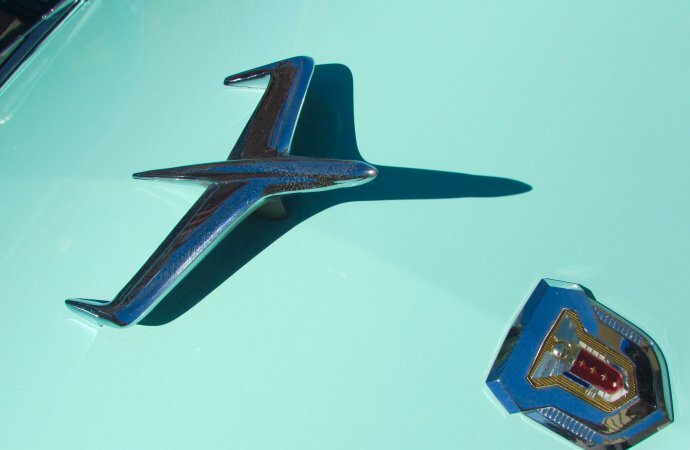 After nearly a 20-year run, a falling out last year between the promoter of the big annual car show and officials of the city of Henderson, Nevada, threatened to leave the community without one of its largest downtown events. 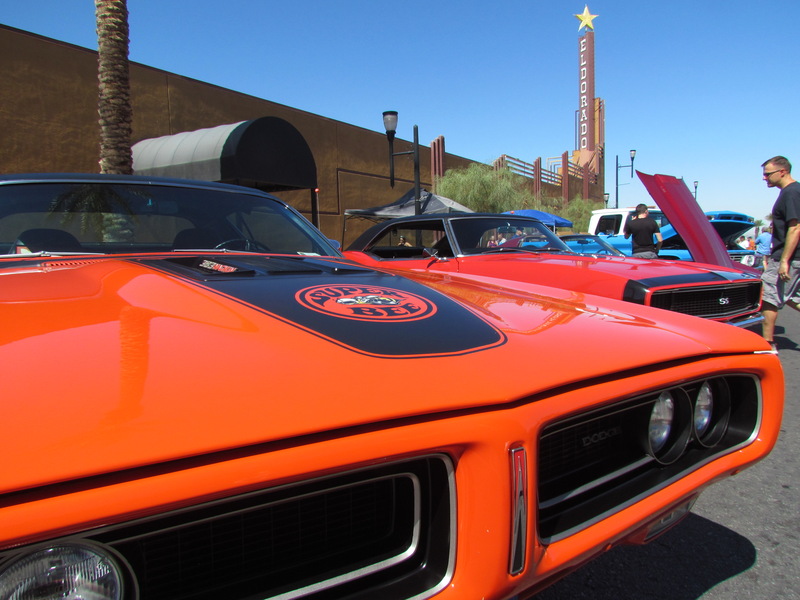 Riding to the rescue was perhaps as unlikely a group of car-show organizers as you might ever find — a group of chefs. 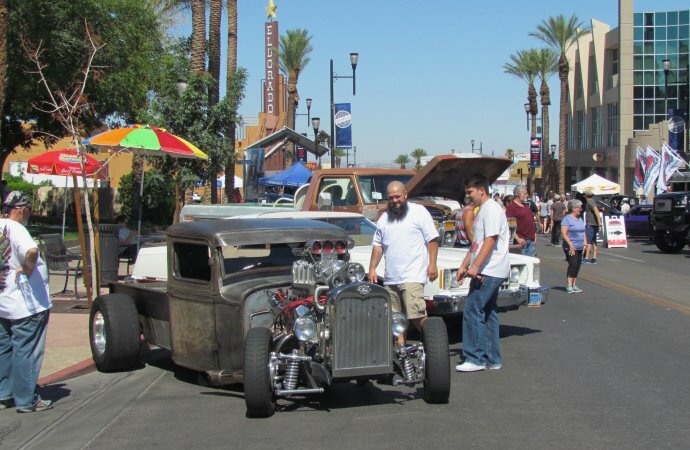 About the same time as the schism was developing between the city and the car show, a group of young chefs, and hospitality and marketing executives, banded together under the banner of Just Add Water Street with a mission of sparking renewal along Henderson’s historic main street and the district around it. 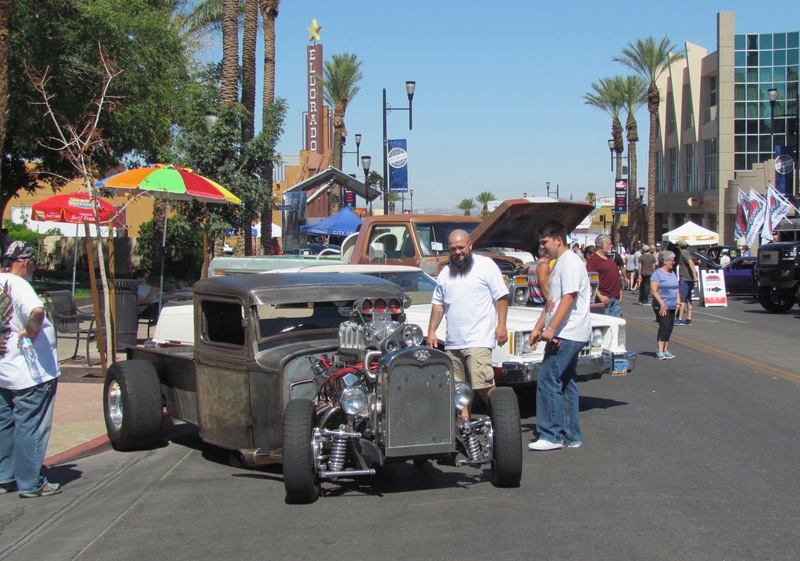 Their plan was to launch Last Friday, an arts/culture/music/culinary festival to held the last Friday of nearly each month (taking a month or two off in the summer when the temperatures kept even the hardiest of desert dwellers in air-conditioned buildings). 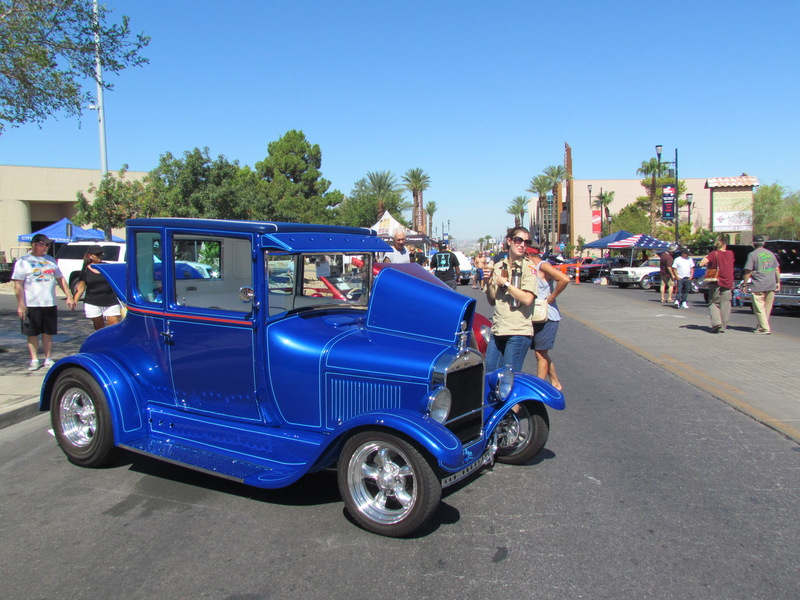 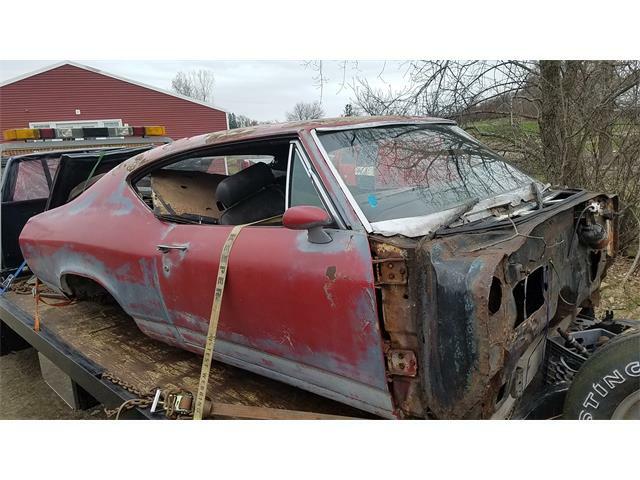 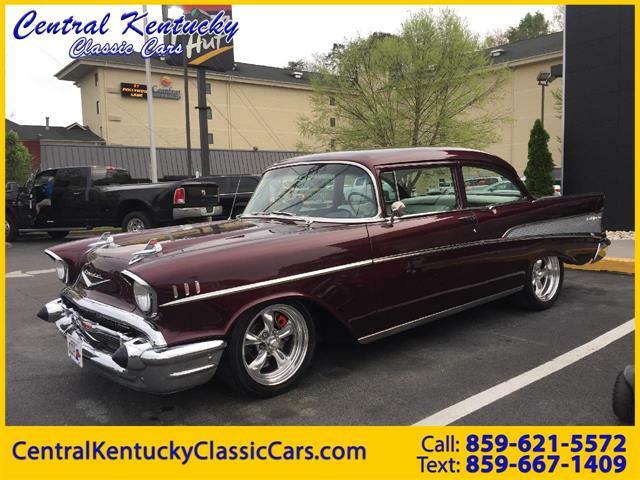 Not long after their inaugural Last Friday event, city officials asked if the fledgling group would take on the car show as well. Rather than leave the city “in peril… one of the biggest attractions the street has annually was taken away,” said chef and Just Add Water Street board member Antonio Nunez, the group called on friends who were part of the Las Vegas-area car community and within a six-week period staged a one-day car show that drew 12,000 people and lined several blocks of Water Street with an assortment of cars of various vintages and genre. 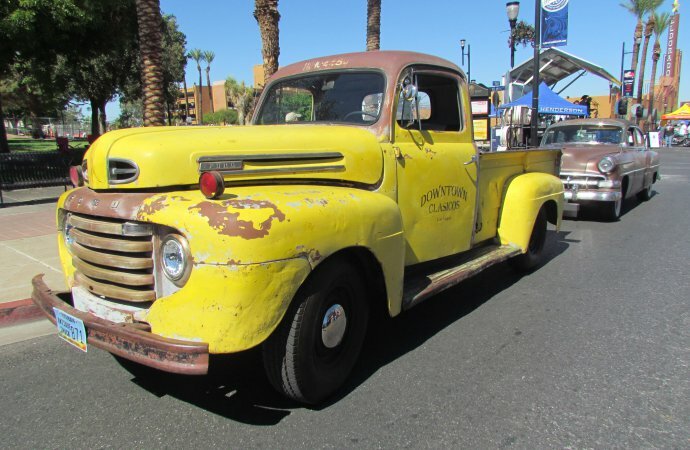 Henderson was founded during World War II, basically as the home of the Basic Magnesium Plant, which employed as many as 14,000 people processing the “miracle metal” that proved so important to the war effort. 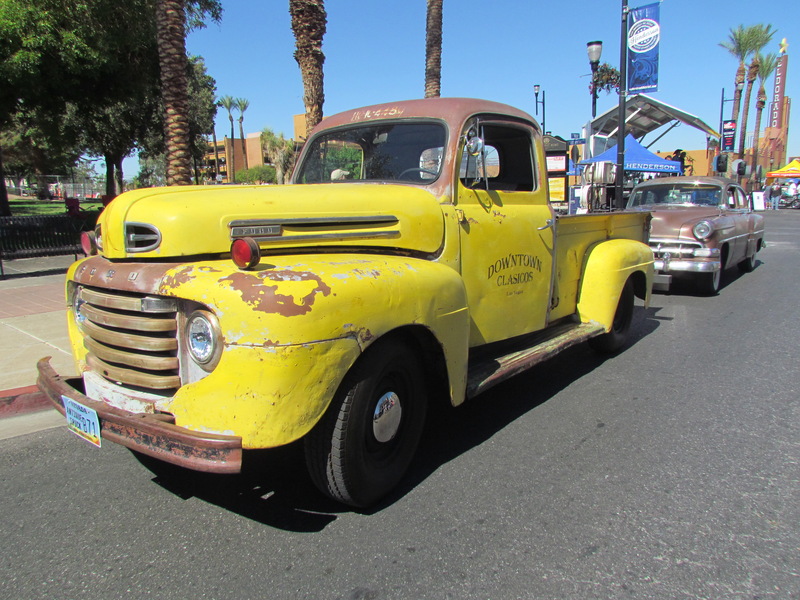 Nunez remembers Henderson as a place that was more than casinos, a “place where you could take your family out.” Once upon a time, he noted, Henderson offered the quintessential small-town feel you don’t get along the Las Vegas Strip, and hopes to help bring it back. 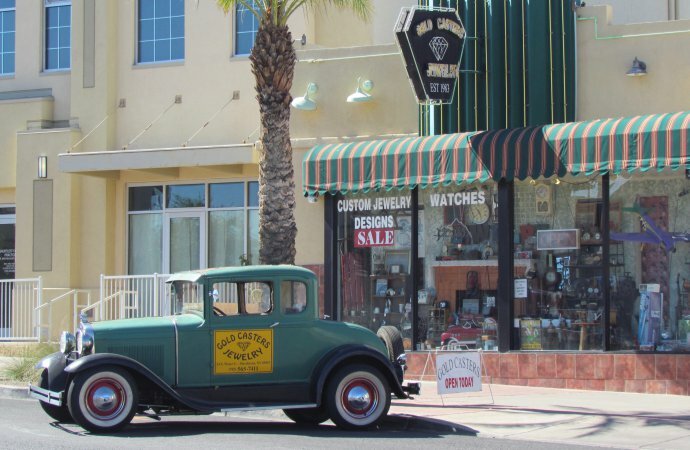 Just Add Water Street, a not-for-profit, is dedicated to “resurrecting, inspiring and instigating” an emerging arts and culture scene. 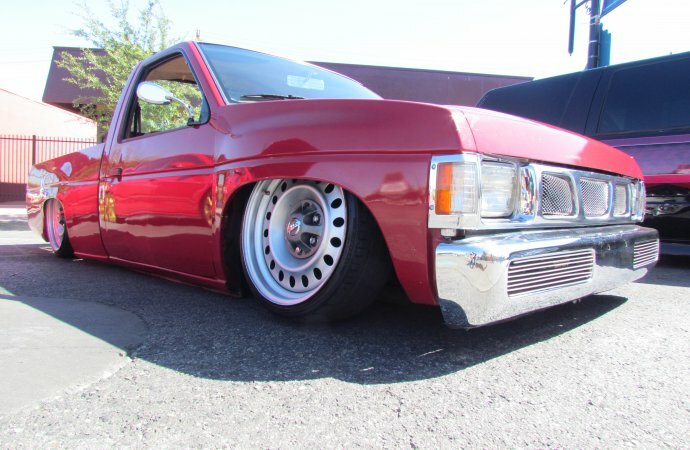 The effort appears to be working. 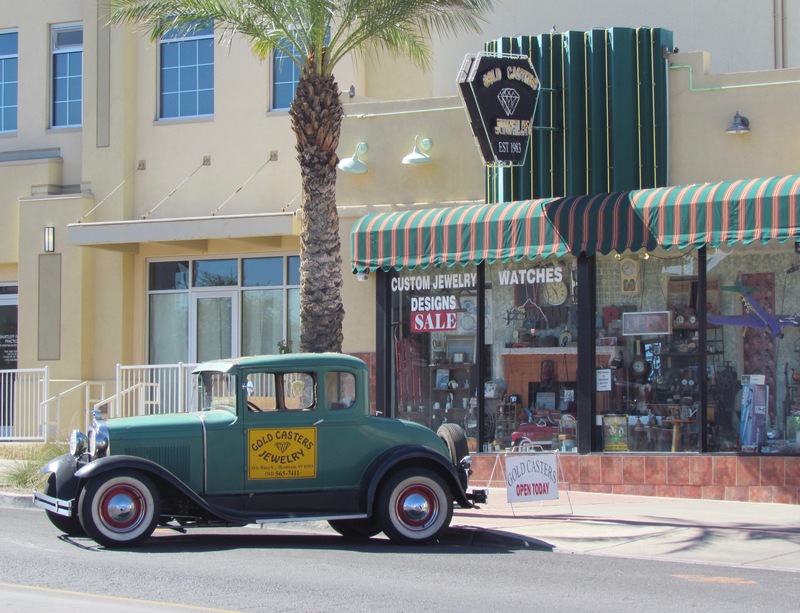 With help from the city, two new restaurants already have opened “and someone just bought the old hotel,” Nunez said. 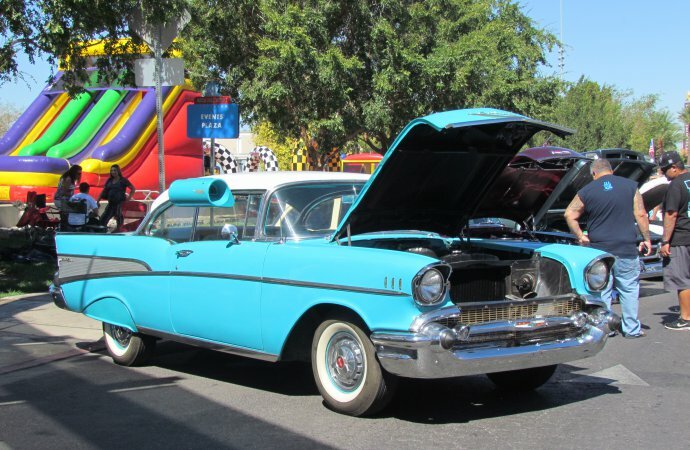 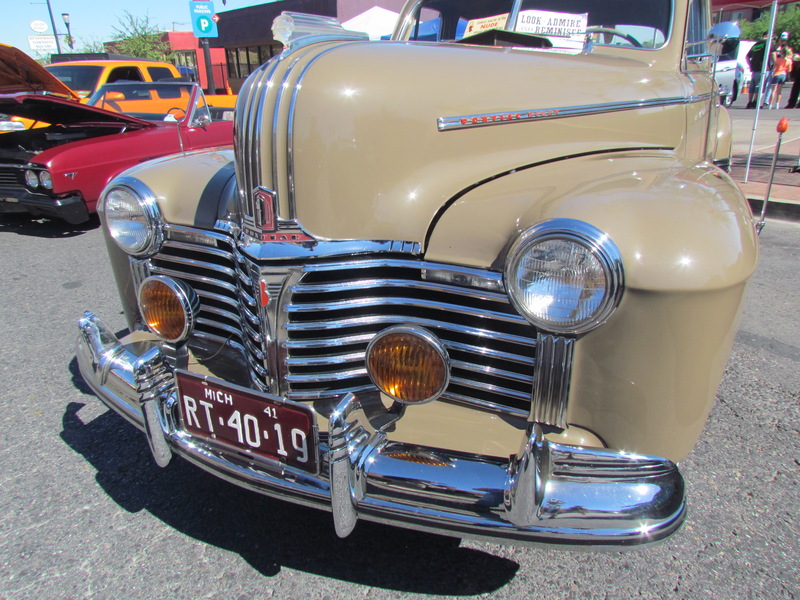 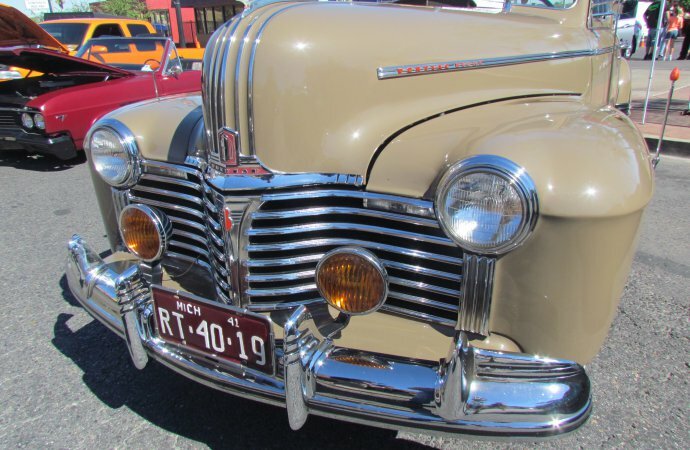 The second Water Street Car Show was held this past weekend and was a two-day event featuring not only cars but live music, a children’s play area, and food. Again, some 12,000 people showed up, though over the course of two long and very hot days. 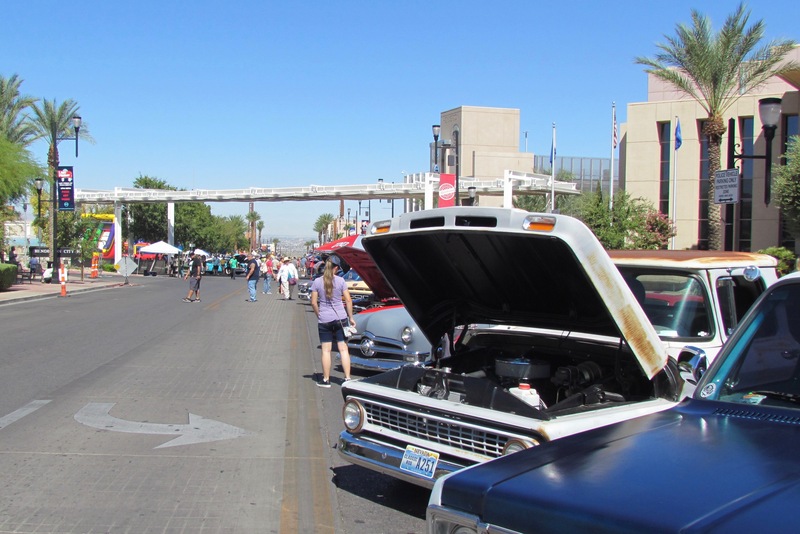 Nunez said the group is learning that triple-digit temperatures not only keep people but classic cars inside, so Just Add Water Street already is working with the city on a later — and cooler — date for the show in 2019. 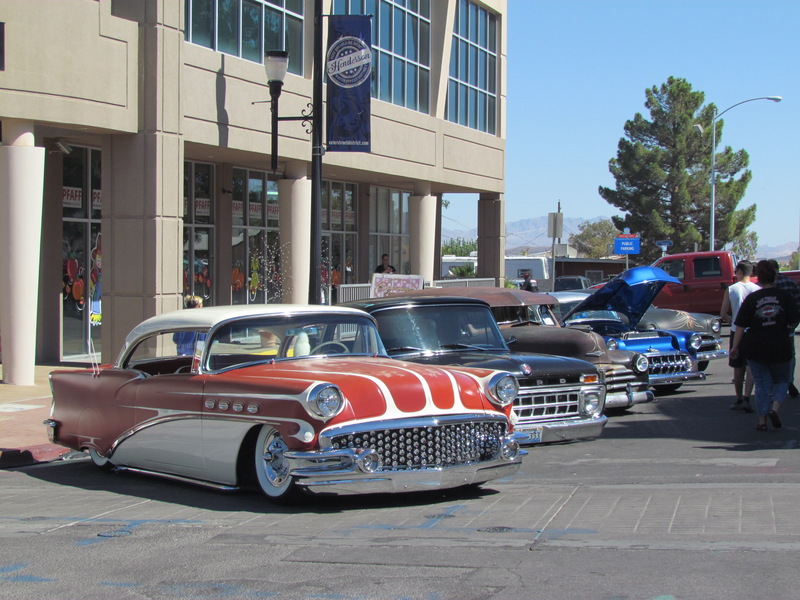 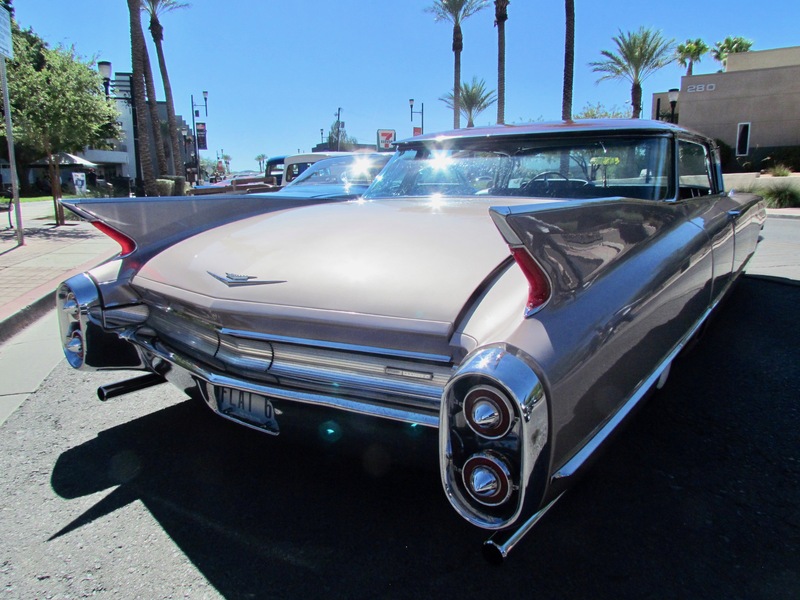 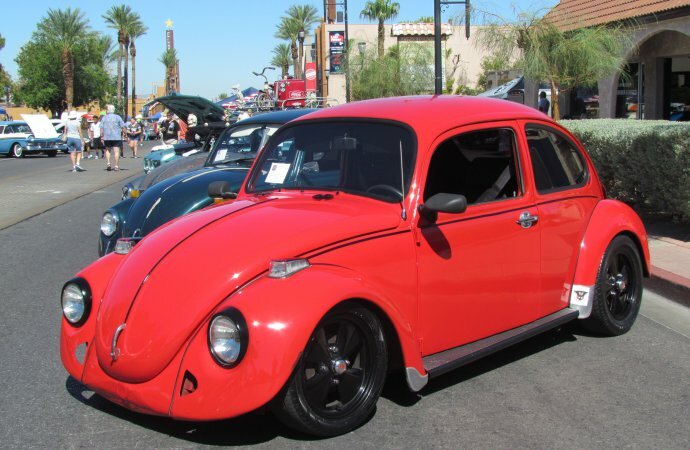 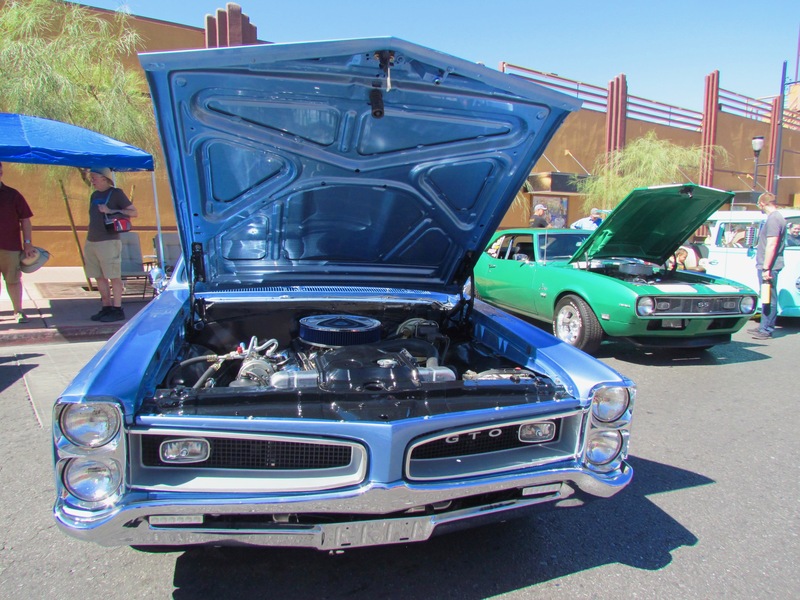 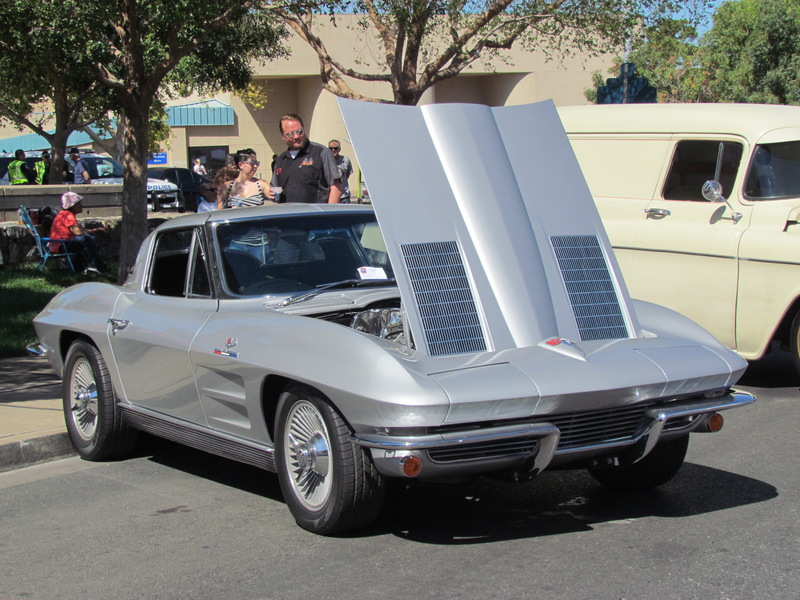 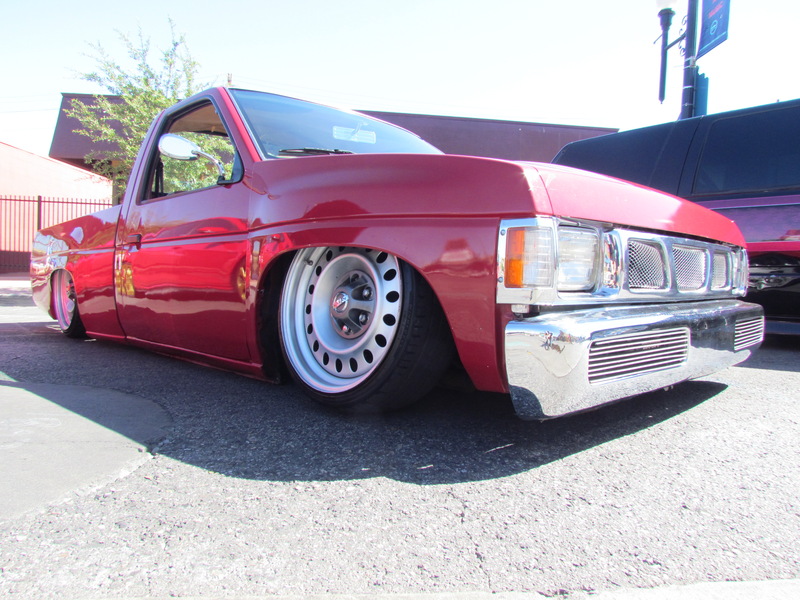 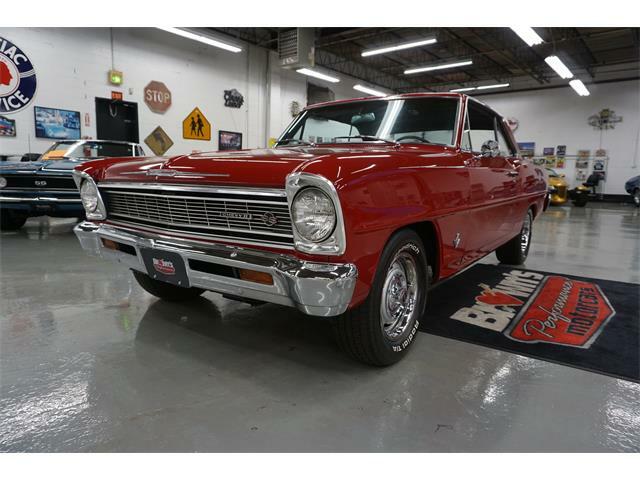 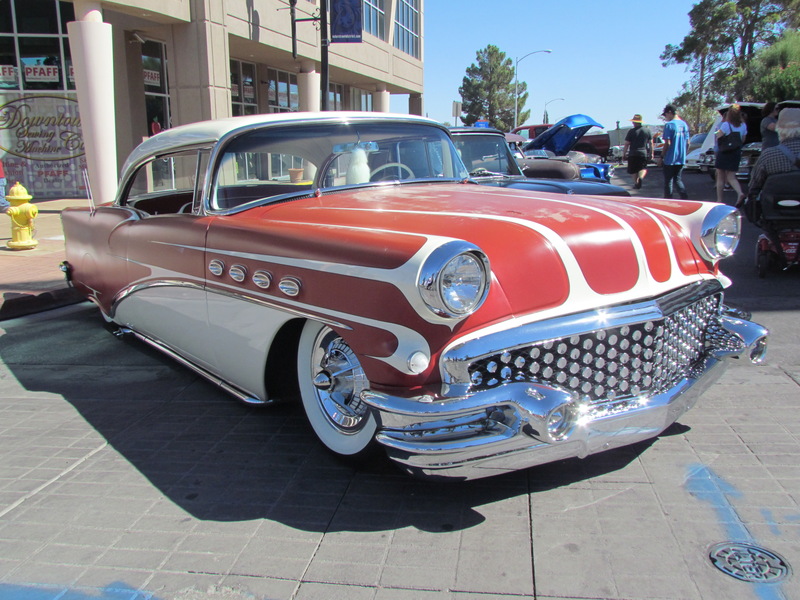 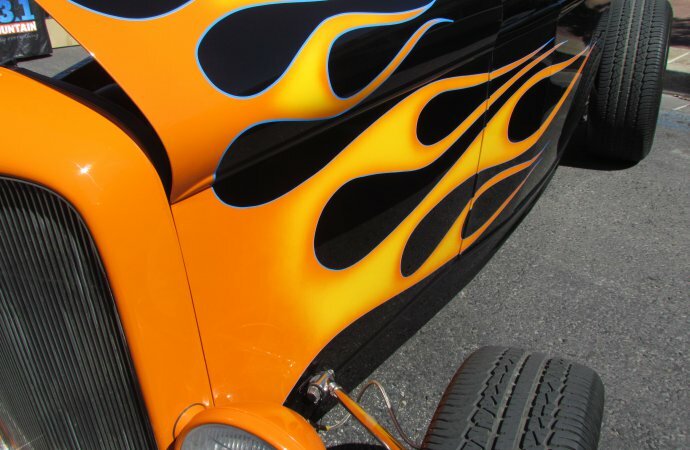 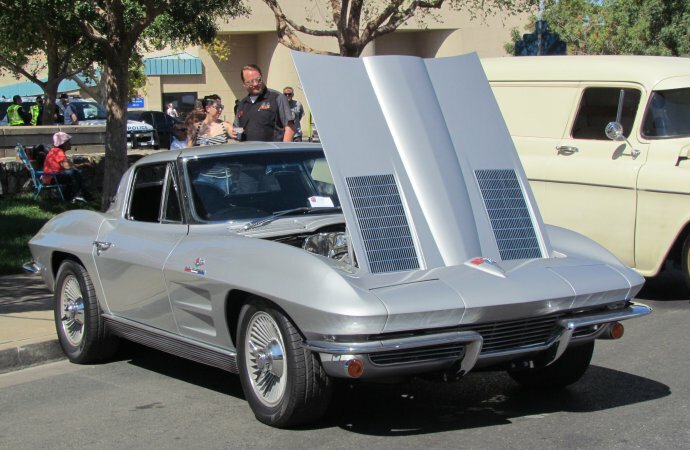 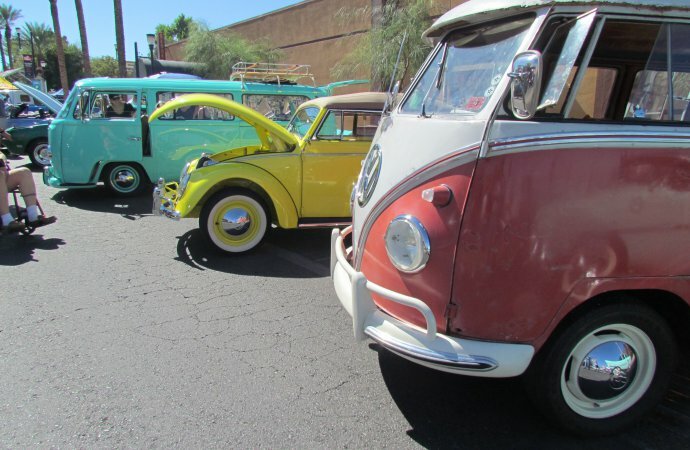 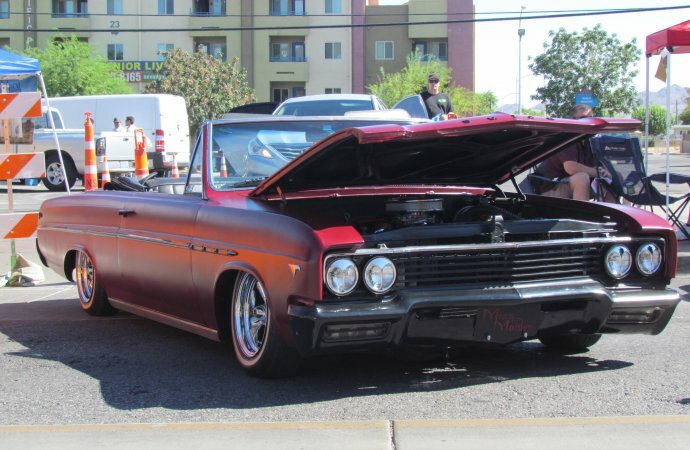 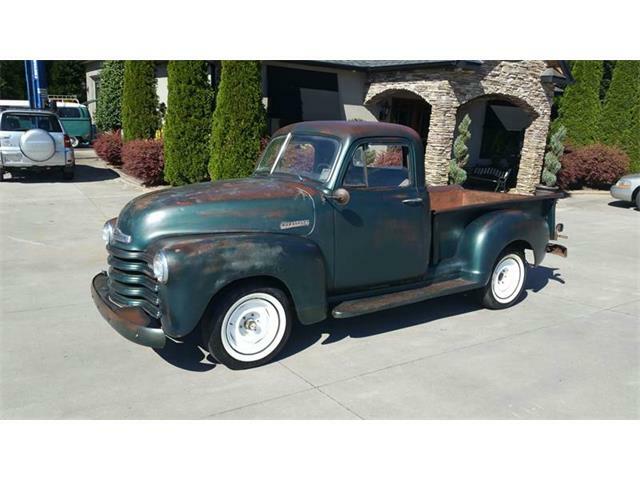 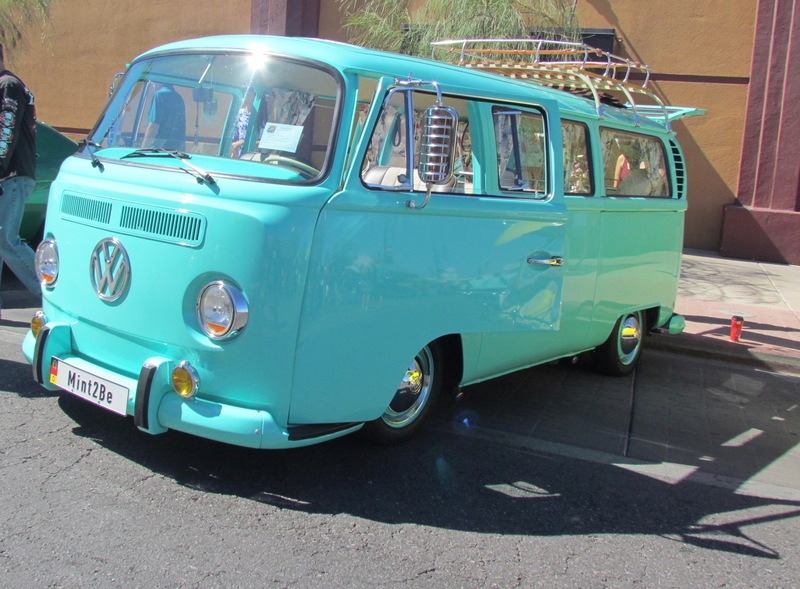 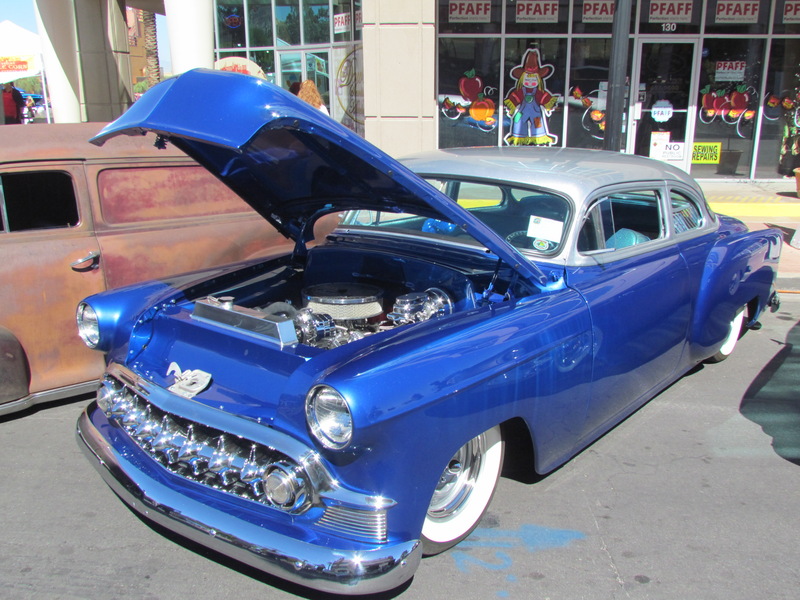 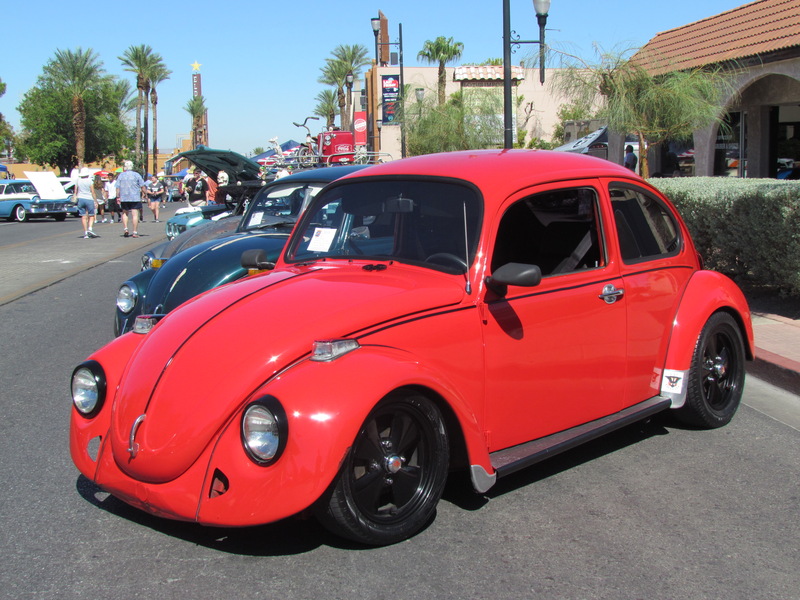 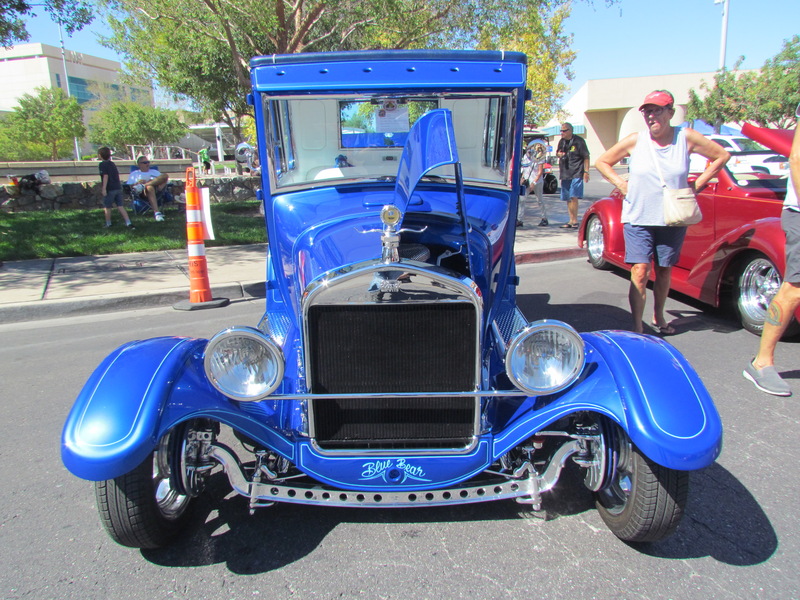 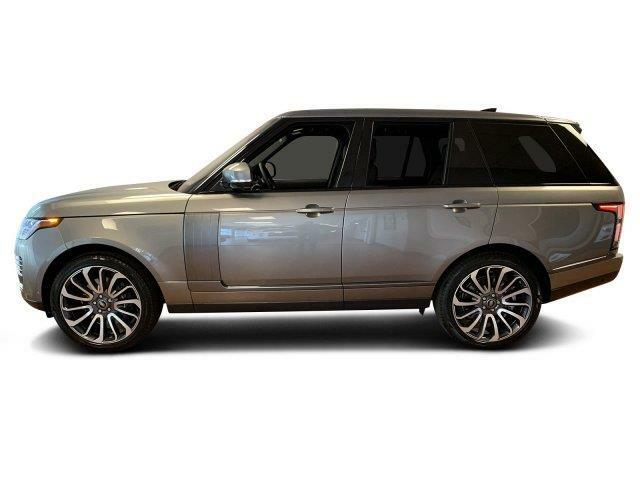 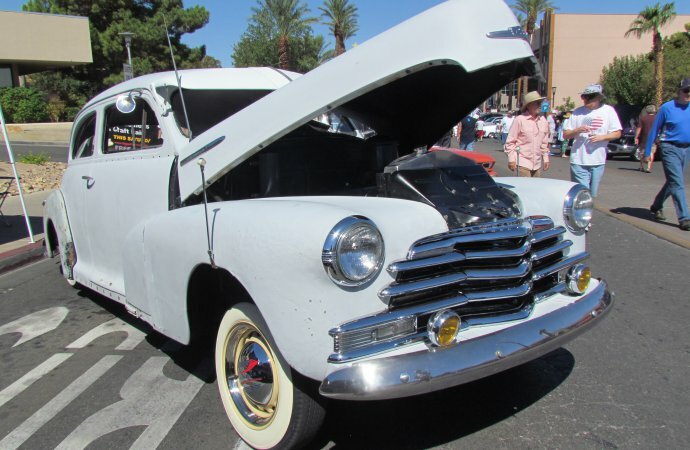 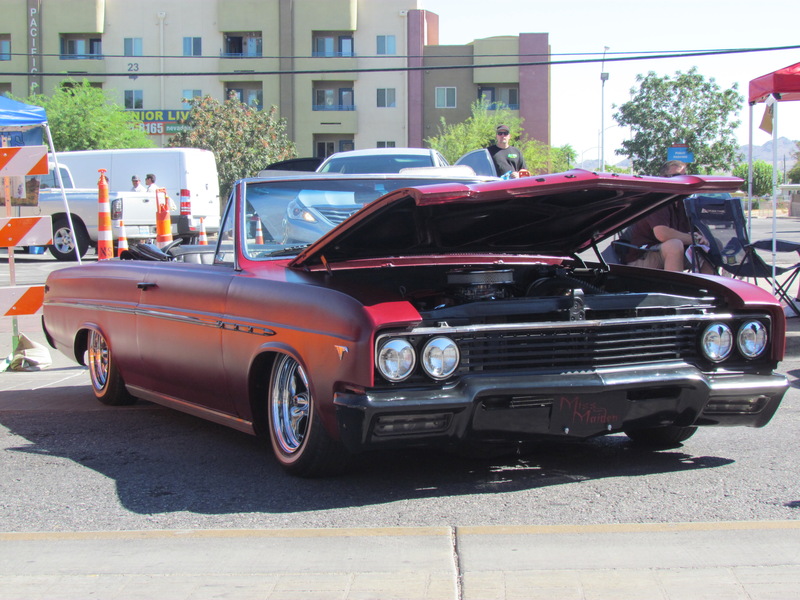 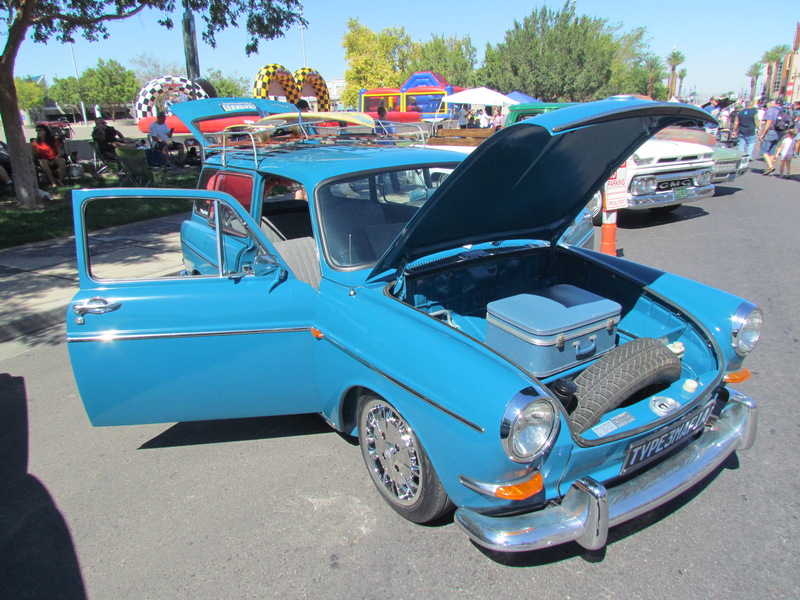 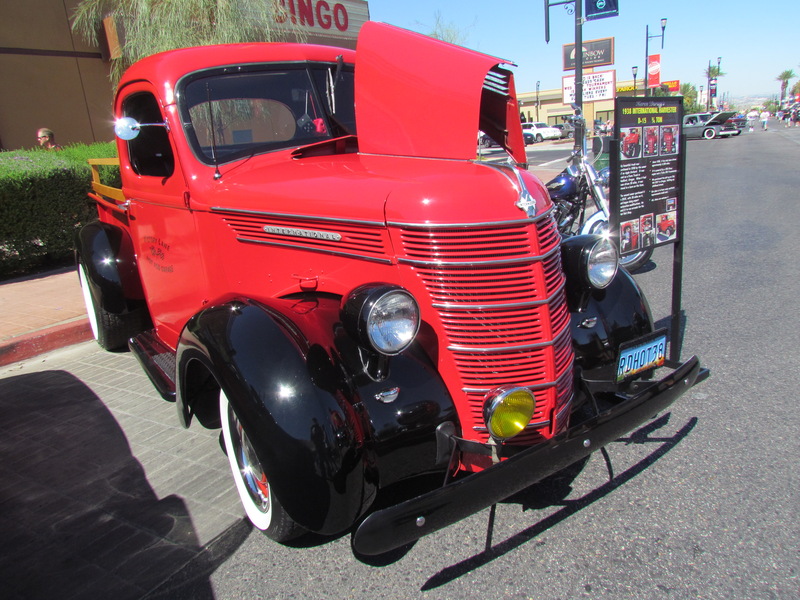 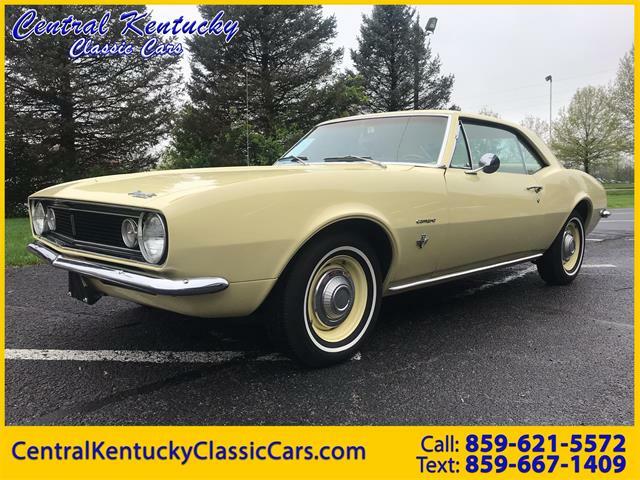 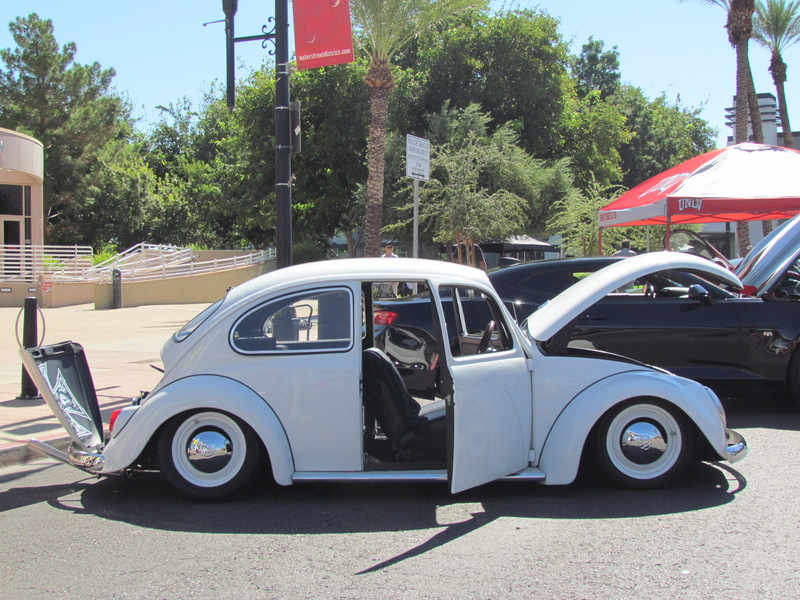 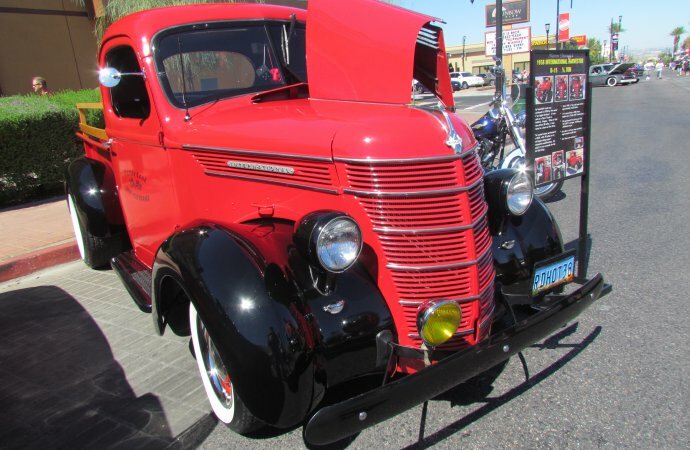 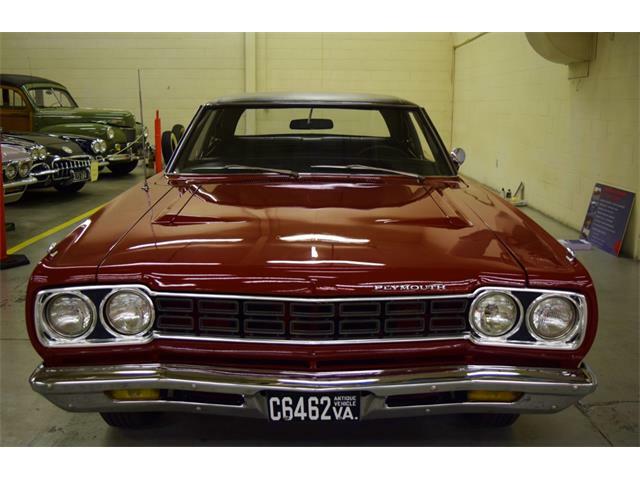 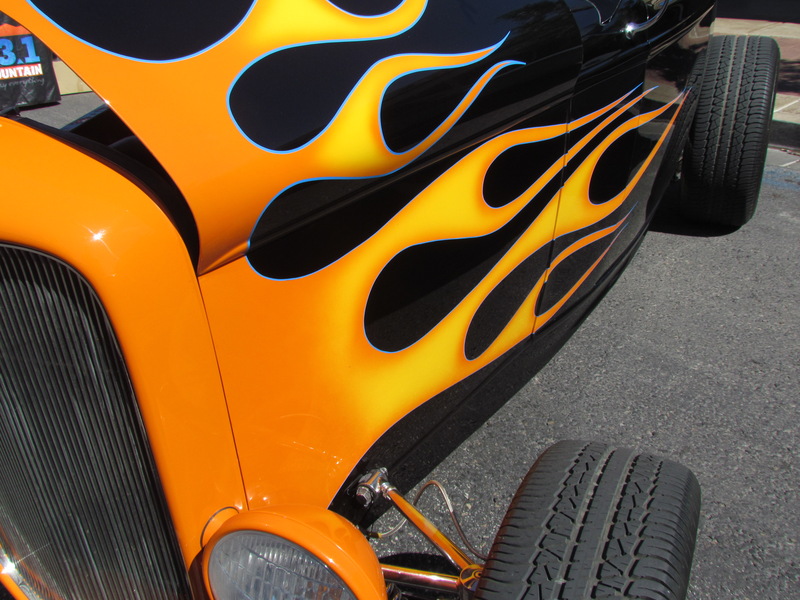 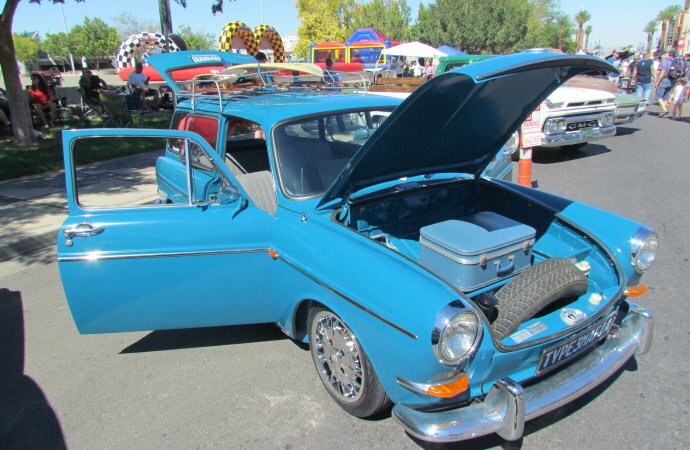 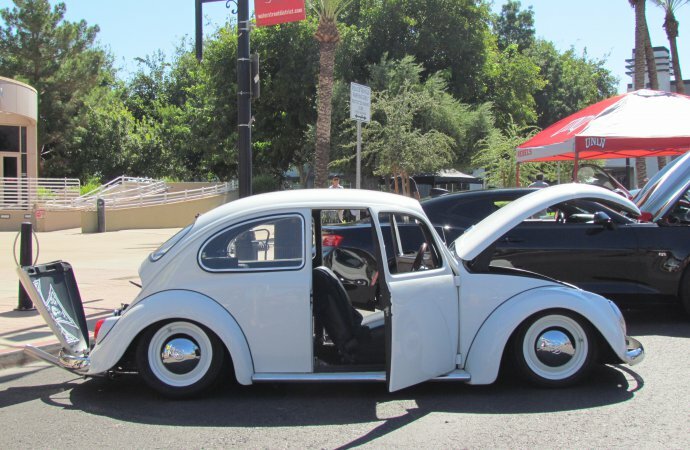 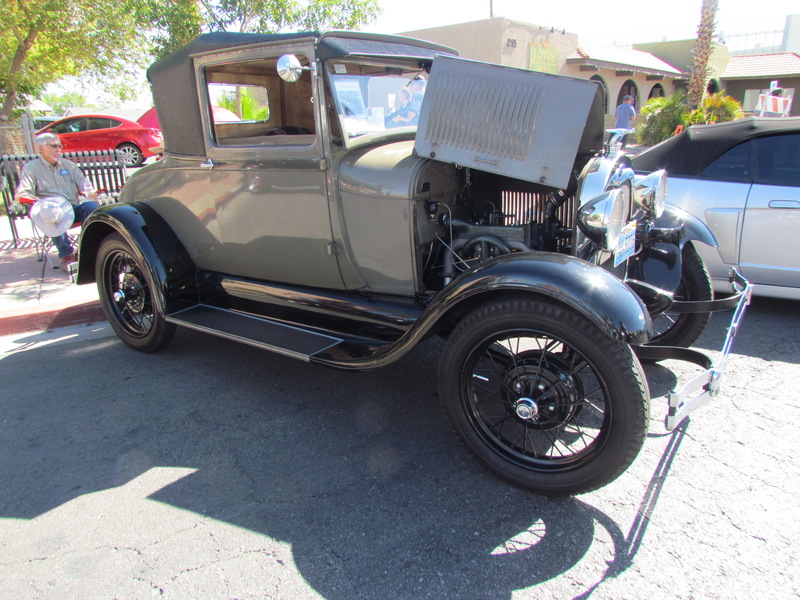 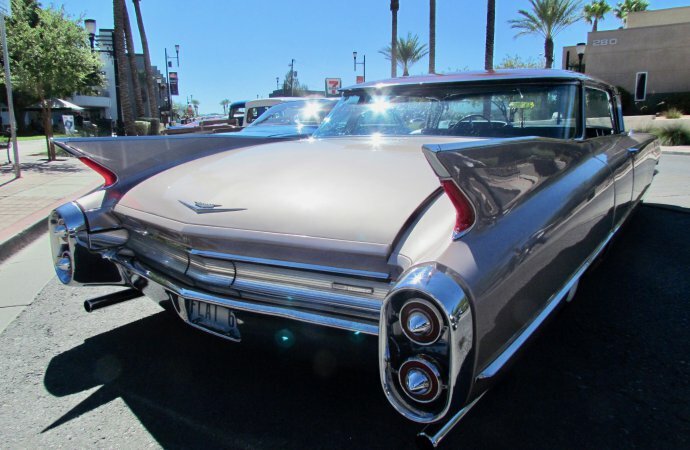 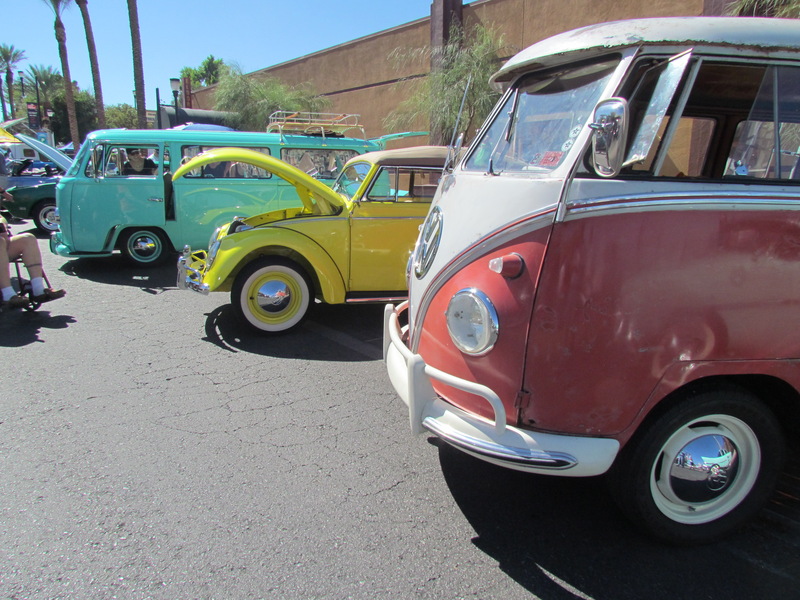 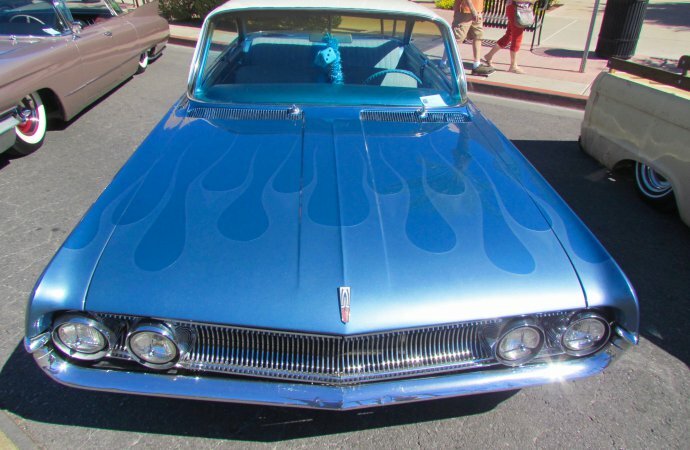 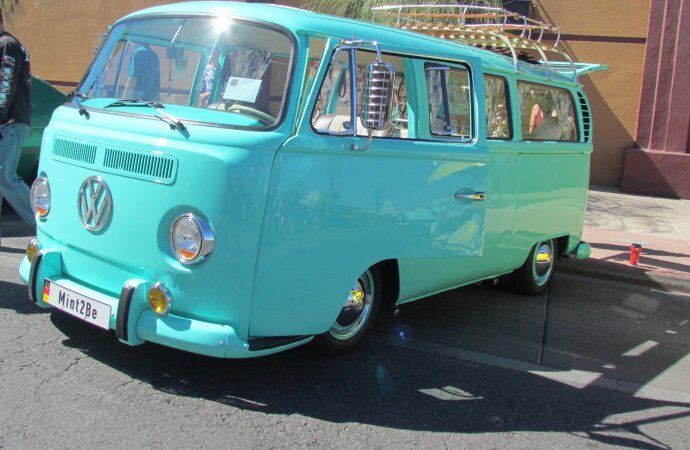 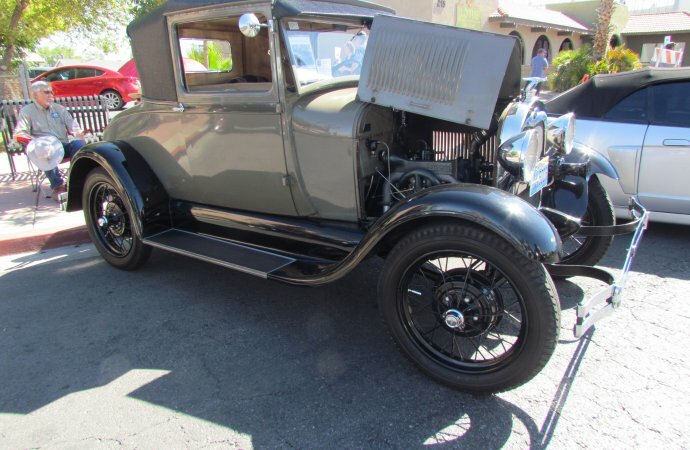 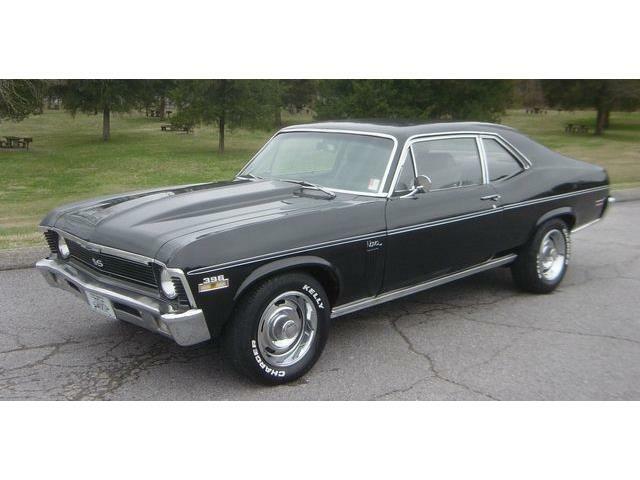 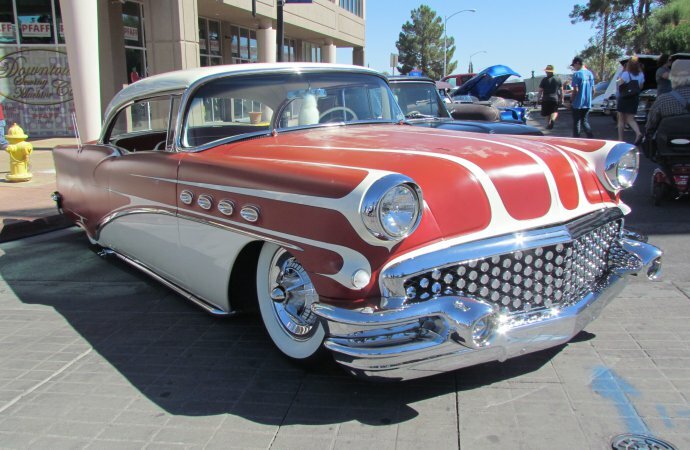 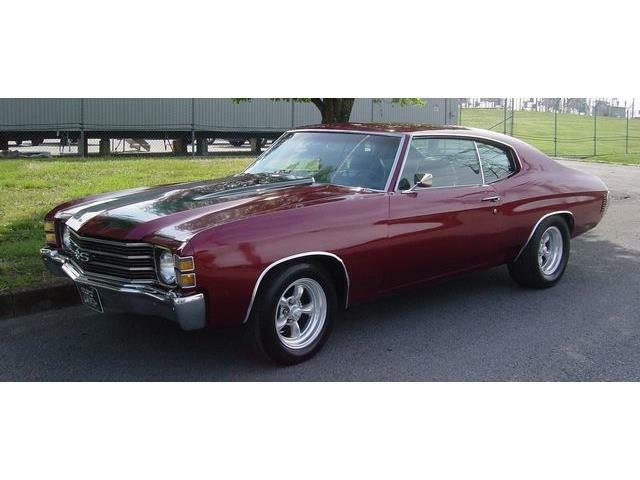 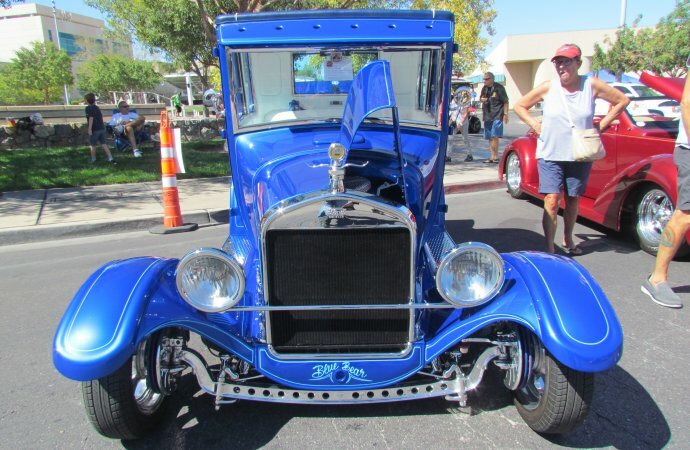 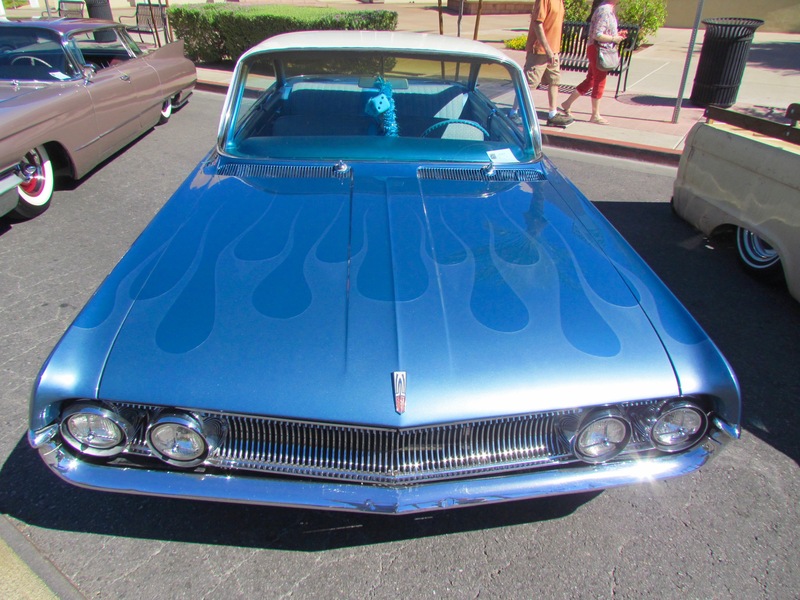 Meanwhile, the Super Run Classic Car Show formerly held in Henderson has moved to Mesquite, Nevada, where it is scheduled for September 21-23.